Do you find changing gears a tedious task? Is your idea of a good drive, one where gear shifting is taken care of? If the answer to these questions is 'yes' then what you need is a car with automatic transmission (AT). Cars with automatic transmission are looked sometimes down upon by many car enthusiasts who argue that automatic transmission takes away the fun of driving. But in markets like the United States, automatic transmission cars comprise a major share. In India their popularity is very limited, especially in the hatchback market that comprises about 70 per cent of the total sales. So let us take a look at the three automatic transmission hatchbacks that are available in the Indian market today. Maruti Suzuki recently launched the automatic transmission version of their hatchback A-Star. Both the automatic and manual Maruti A-Star cars have the same engine capable of generating 67PS at 6200rpm and 90Nm of peak torque at 3500rpm. 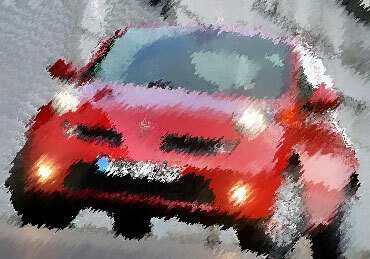 It is claimed that the car has a fuel economy of 17 kmpl as per ARAI tests. Maruti A-Star has a four-speed automatic transmission gearbox, which is expected to deliver a satisfactory performance. The Maruti A-Star can be driven in four modes -- L, 2, D-3 and D. The L and 2 modes are meant for city traffic conditions. The D-3 and D are meant for high speed driving. The Maruti A-Star AT claims to hit 100 kmph in D-3 and 140 kmph in D.
Apart from the automatic transmission element, Maruti A-Star automatic, which comes in VXi variant, also has height adjustable driver seat and ABS among other features. Price: Maruti has priced the A-Star Automatic at Rs 434,535, which is Rs 49,908 more than manual driven Maruti A-Star VXi. This bestseller and the bread-and-butter model of Hyundai is one of the best automatic transmission cars one can buy in India. The automatic version of the car comes with an in-line 1.2L, 4 cylinder, 79bhp, 1197cc petrol unit capable of producing maximum power of 80ps at 5,200kgm and maximum torque of 11.4kgm at 4,000rpm. 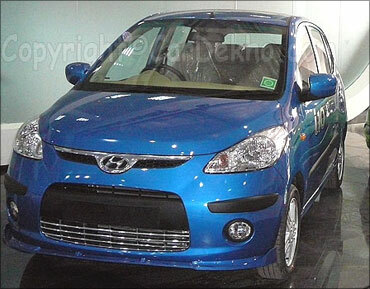 The auto Hyundai i10 has an automatic 4 speed gear box that is a great performer. The car gives a mileage of 15.4kmpl in the city and 19.2kmpl on the highway. The mileage figure of this car is among the best in the class. Among other features, the car has a front suspension McPherson Strut with stabilizer bar and rear suspension coupled torsion beam axle with coil spring and power and tilt steering. 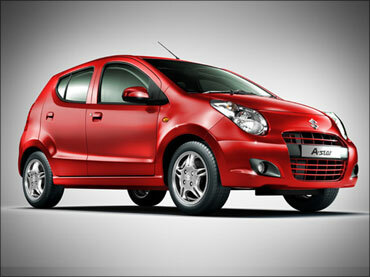 Price: The car comes at a price of Rs 477,512 (ex-showroom New Delhi). 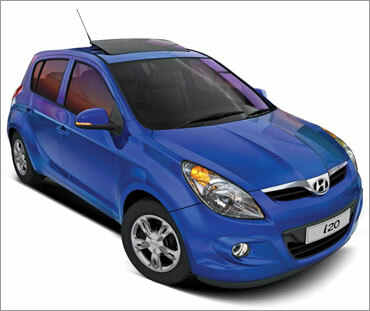 The Hyundai i20 Asta (AT) is powered by the 1.4L, Gamma petrol engine with four speed automatic transmission gearbox. The Hyundai i20 Asta has features like dual front airbags, passenger airbag on/off switch, front fog lamps, ABS with EBD, electrically adjustable ORVMs, rear washer and wiper, height adjustable driver seat, etc. The 1.4l unit is capable of producing maximum power of 100PS at 5,500rpm and maximum torque of 13.9 kgm at 4200 rpm. The car gives a mileage of 11.5 kmpl in the city and 15 kmpl on the highway. Price: The car carries an ex-showroom (New Delhi) price tag of Rs 748,467.